Let's say your engine is coupled to the train backwards - your pilot is coupled to the lead car of the train - and you're going to run backward down the lines (pulling the train but the engine is backward)... As to start the trip do you blow TWO whistle blasts or, since the engine is backward, do you blow THREE? 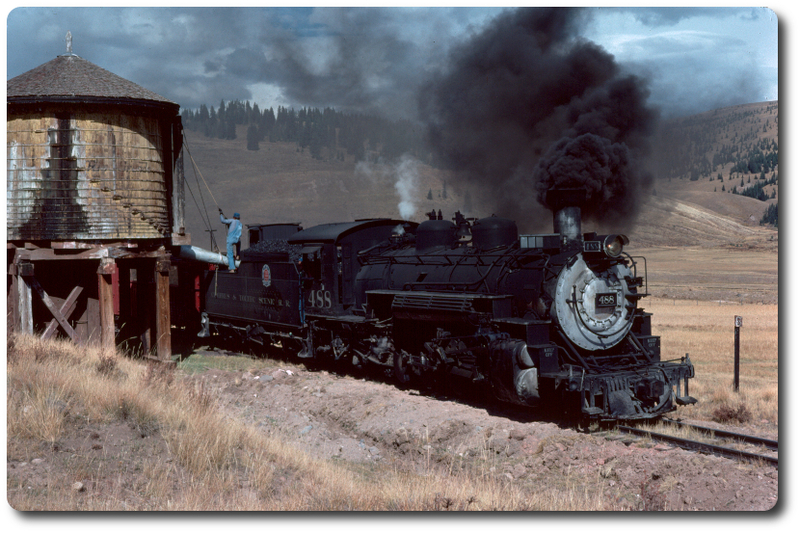 About 10+ years ago, I rode a Friends photo train that operated from Chama to Osier and return. This was back when Osier's loop track was out of service, so the photo train could not be turned there. In order for us to have a WB-facing engine on our WB-trip, our EB-facing engine was swapped for the WB-facing engine on the regular Antonito-Chama train. That train departed Osier with its engine running in reverse.... maybe somebody has video of it departing Osier and you could watch to see if they made two or three whistle blasts?